How’s that Kitsap Conference Center expansion coming? August 9, 2014 will be the biggest day ever for the Kitsap Conference Center. The Kitsap Wine Festival, which drew 900 people to the Harborside Fountain Park, will be in full swing that day, as will a wedding with a guest list of 125 and a fundraiser with 400. But let’s rewind a bit. 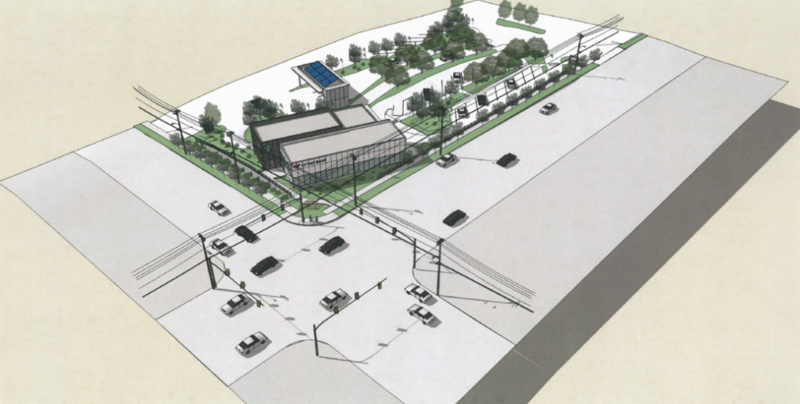 Last year, the Bremerton City Council approved, by a close vote, a 7,000 square foot expansion of the conference center into its neighboring building (one Kitsap Transit owns). 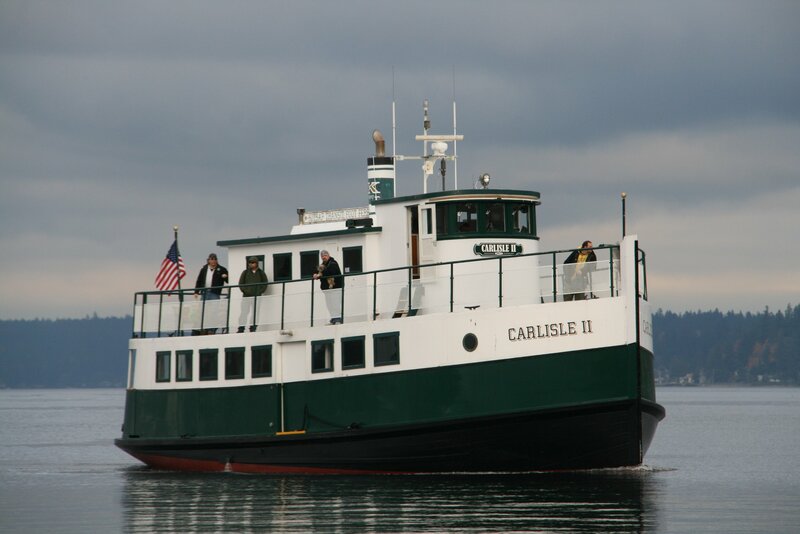 Paid for with $400,000 from the Kitsap Public Facilities District, a $500,000 loan from the city of Bremerton and $200,000 from Kitsap Transit (earmarked to replace the elevators). 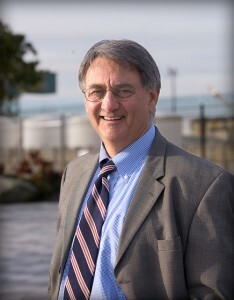 The expansion’s construction, on the top floor of the Bremerton Harborside building, began in late November last year. On Thursday, Conference Center General Manager Arne Bakker took me on a tour. Crews from Jones & Roberts of Olympia have put in new walls, plumbing, lots of electrical equipment and an HVAC system (in fact, if you’re downtown Saturday, watch for the crane installing the central HVAC equipment). “Basically, it was a shell with a hallway,” Bakker said of the space prior to the work. Left to do is flooring, window covering, the ceiling tiles and other electrical work. Crews began renovating the elevators Monday, Bakker said. Regardless of what they put in, the views up there are pretty stunning (pictured). They’ve even named the new “breakout” rooms. “Glacier Cove” with space for 100, overlooks the Olympic Mountains and the Puget Sound Naval Shipyard, while “Marina Vista,” with capacity for 250, overlooks, well … you know. Bakker is confident 2014 will be a “year of building” and believes reservations will pick up incrementally. “There’s been a lot of interest but people want to see a finished product,” he said. Bakker, an employee of Columbia Hospitality — which runs the center on behalf of the city — believes construction will wrap up in mid-March. It has to, because the first event there, a wedding, is slated for March 22. Gamers downtown: could Bremerton play host to a local PAX-like convention? 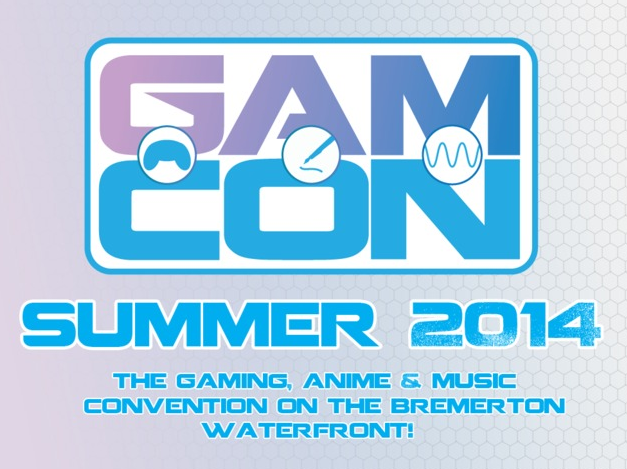 Blake Perdue is working to bring a convention for gamers to Bremerton. And while he’s made significant headway, time is running out on his fundraising endeavor. Here’s what Perdue, an ’07 graduate of Olympic High School, has done. He’s got a plan. He’s got a name (see picture). And he’s gotten Columbia Hospitality, the company that runs the Kitsap Conference Center, to hold for him July 5-6 for “Gamcon” in case he meets his fundraising goal on Kickstarter. And he’s already raised almost $6,000. But he needs to be at $8,000 by Wednesday, Feb. 5. Will he make it? Time will tell. Six million gallons a day. That’s how much water Bremerton’s utility customers drink everyday. 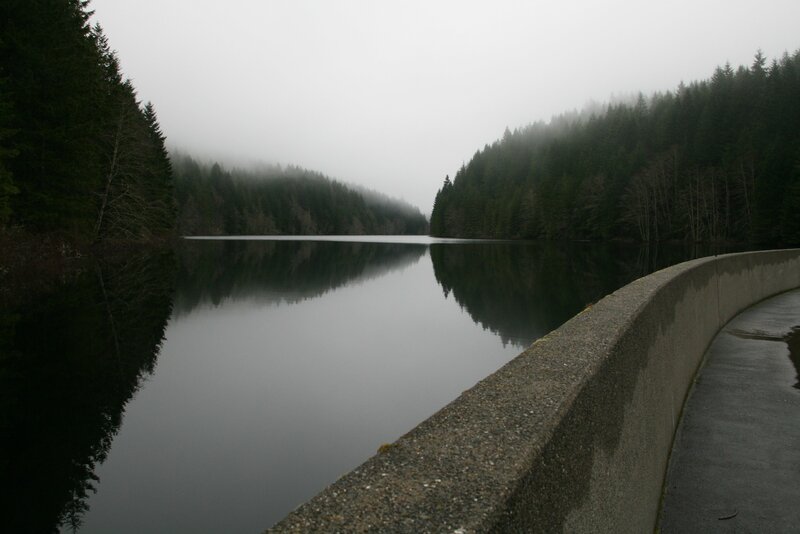 To get the city’s rather unique water supply across town to East Bremerton, the city’s utilities department relies upon three pipes: two by bridge and one underwater. 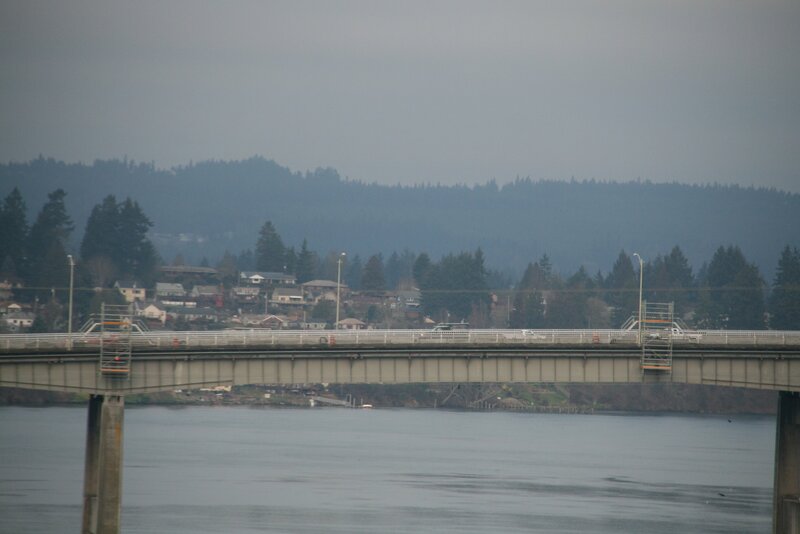 There’s a foot-wide pipe under the Manette Bridge, an 18-inch underwater pipe that goes under the Port Washington Narrows between Snyder Avenue and Lions Park, and a 20-inch pipe — the biggest — that runs under the Warren Avenue Bridge. But as of last week, the Warren Avenue Bridge’s water main was shut down. No need to panic, though: the bridge is undergoing a $1.4 million water main replacement project. I’m sure you’ve spotted that scaffolding (pictured) along the bridge, where a contractor’s cutting out the old and corroding steel pipe and putting in a new one. You shouldn’t notice much in the way of construction, says Ned Lever, a Bremerton Public Works project manager. Pedestrians can’t access the bridge’s eastern walkway. And while the contractor IMCO can close one lane every night, they can only do 20 midday road closures (and only between 9 a.m. and 2 p.m.) and up to five two-lane road closures at nighttime. Crews will replace the water main 40 feet at a time. The project should be done in April. And as for East Bremerton’s water supply? Will the remaining two pipes be able to carry the load during construction? “You shouldn’t even notice a difference,” he said. Cary Bozeman: from Bellevue to Bremerton to … Aberdeen? Can Cary Bozeman turn Aberdeen around? The former Bellevue and Bremerton mayor has a new mission, and it’s the revitalization of the gritty Washington port, birthplace and hometown of Kurt Cobain. Bozeman, mayor in Bremerton from 2002 to 2009, says he’s eager for the challenge and hopes the City Council there will accept. He’s also contemplating a run for Kitsap County commissioner but has yet to make a decision. While you are always welcome to join me at city business meetings, I do take pride in being the guy who monitors the bureaucracy so you don’t have to. But a meeting Tuesday night cries out for your participation, if you care about the city’s upcoming plans to revamp Lower Wheaton Way. As you’ll see in a Tuesday story in the Kitsap Sun, the city is about $300,000 short on the largely-grant funded project, which will repave the road and add sidewalks and bike lanes between the Manette Bridge and Lebo Boulevard. Eliminate electrical conduit along the route. Engineers are hoping this cut is considered last, as putting it in later would require crews to dig up and thus negate parts of the current project. But the conduit is slated to cost about $100,000, or a third of the project’s estimated cost overrun. 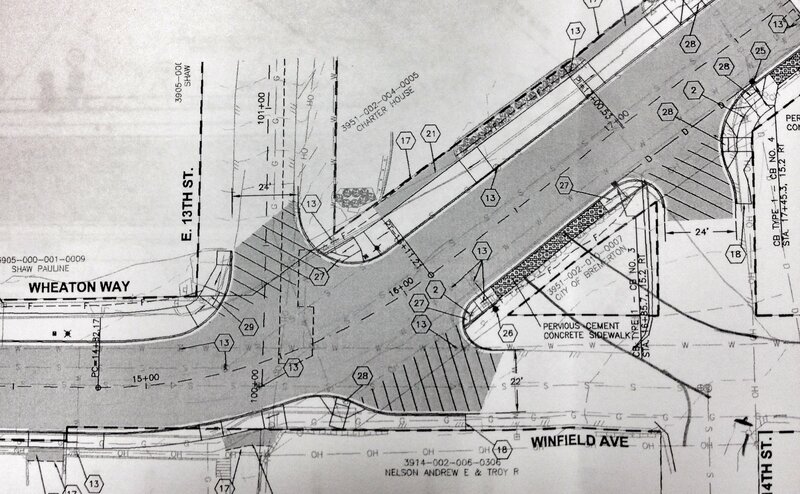 Take out the revamp of the intersection of Lower Wheaton Way at Lebo Boulevard to save $40,000. The traffic light’s timers at the intersection no longer function and a traffic study will be completed to determine if the light there is still necessary. Eliminate lighting on the street. Engineers are prioritizing higher about $60,000 of lighting at Lower Wheaton’s intersections with streets along the route than about $143,000 of additional lighting in between intersections for the project. Don’t create a new $33,000 intersection at 14th Street: The original project called for E. 14th Street and Winfield Avenue to channel together into one road before hitting Lower Wheaton (currently, the streets both intersect with Lower Wheaton in close proximity to each other). Take out handrail: There’s a $22,500 handrail in the project near the Manette Bridge, which engineers say could be removed. Eliminate sidewalk: While leaving intact the creation of a new 10-foot sidewalk on the southwestern side of Lower Wheaton Way between the Manette Bridge and Lebo, engineers call for the possible elimination of a new, smaller $45,000 5-foot sidewalk on the northeastern side of Lower Wheaton between E. 18th Street and the Manette Mart. Reduce gravel: Engineers anticipate the project won’t need as much gravel to be used underneath the sidewalks, saving $75,000 on the project. The point I’m trying to make: if you have an opinion about any of these options above, now’s the chance to add your two cents. The meeting’s at 5:30 p.m. Tuesday (Jan. 28) at the Norm Dicks Government Center, 345 Sixth Street, downtown. Homes on pilings that jut out over Puget Sound are a dying breed, due to environmental regulations. Two of the few that remain are right in downtown Bremerton, and chances are you know just the ones I’m talking about. Current tenants of one of the homes graciously allowed the Kitsap Sun in for a look around, and many Bremertonians, past and present, shared their stories of what it was like to live in them. Here’s the resulting story. 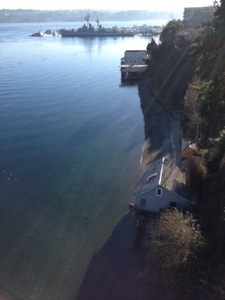 Oh, and lest I forget, Bremerton’s Boat Shed restaurant is also on pilings. One of the things I love about Bremerton is the way that, underneath its ruggedness, this is a community that helps its neighbor. 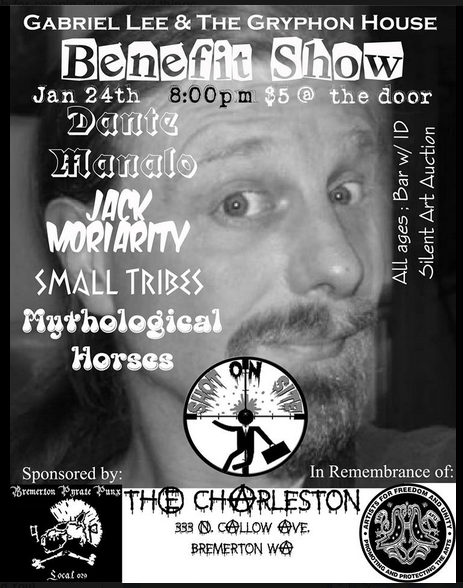 Look no further than The Charleston on Callow Avenue tonight, where some Bremertonians are throwing a benefit show to help a friend keep his house. Gabriel Lee’s usually the one doing the helping, but this time, his friends are coming to his aid. And once his friend Zac, who books some shows at the Charleston, and Andy, one of the owners, got the ball rolling, support poured in. Lee said he’s getting back on his feet and has recently gotten a new job, but said the show and his friend’s support is a huge help. The show, which kicks off at 8 p.m., will feature everything from punk to folk to Klezmer, as well as a silent auction feature art by Lee himself. Bands include Danté Manalo, Espiritu Suplex, James Hope, Mythological Horses, Shot on Sight, Jack Moriarty and Small Tribes. Tickets are $5. Here’s the invite. Here are some renderings of what the two businesses will look like there. It’s been a rough few years for Wheaton Way, and city and bank leaders are hoping the revamp is the breath of fresh air that can spur other redevelopment there. Bremerton’s planning commission loosened drive thru standards that were approved by the City Council, paving the way (no pun intended) for the project, as was brought up on my Facebook page yesterday. What do you think the new development, slated to open Aug. 1, will do for the battered corridor? The bottom line: the beat is back. The fine print: It’s been nearly four years since the Kitsap Sun brought you the Bremerton Beat, a blog showcasing the very best (and sometimes the not-so-very best) of Bremerton. It was disbanded in a blog “rightsizing,” you might say, until recently when I asked for the opportunity to bloat the company blogosphere back to its previous size. I have big shoes to fill, following in the footsteps of inimitable Steven Gardner and the estimable Andy Binion (who, I might add, just revived my old blog at the crime and justice desk). 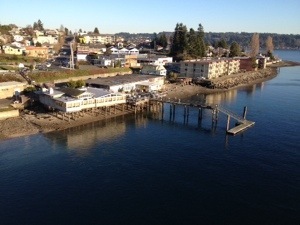 Since my transition from covering Kitsap County’s crime and chaos for eight years, I have yearned to resurrect this blog to give Bremerton readers a place to turn for slices of life in the city straddling the Port Washington Narrows. Here, no story’s too big or too small. We’ll go behind the scenes. I’ll bring you along on assignment. Field trips will include vertical ones to the Sixth floor of the Norm Dicks Government Center — the hub of Bremerton’s city government — and horizontal ventures to all corners of the city. We’ll also discuss the past and future of Bremerton, a city founded as an industrial powerhouse but one establishing a new identity through its revitalized core and its active neighborhoods.